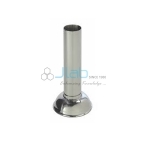 Jlab is renowned Hospital Holloware Manufacturer, Hospital Holloware Suppliers, Hospital Holloware India, Hospital Holloware Exporter, Hospital Holloware, Hospital Equipment India, Plastic Hospital Holloware, Stainless Steel Hospital Holloware. 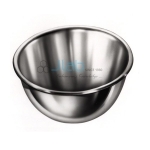 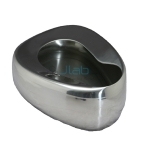 Jlab are engaged in producing and exportation Hospital Hollowares by gaining most client satisfaction. 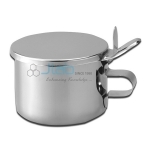 The distinctive style and sleek corners facilitates straightforward improvement or sterilization, the sleek finishing of edges/corners shields the top user from accidental injuries. 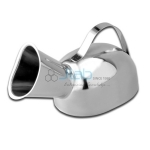 Our wide Hospital holloware vary offer nice convenience for multiple uses throughout medical procedures, surgery, patient care. 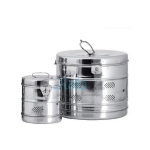 we provide a whole vary of sturdy, corrosion resistant stainless-steel, plastic, All merchandise used in the slightest degree health care centres. 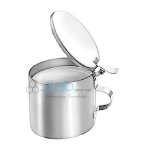 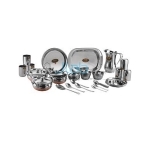 High quality stainless steel Elegant looks Well finished Serving Utensils and Bowls Cooking Pans and Bowls Spoon, forks, knives Jars, Mugs. 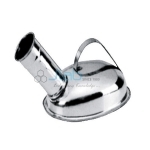 The conventional bedpan has a greater capacity to prevent spillage.